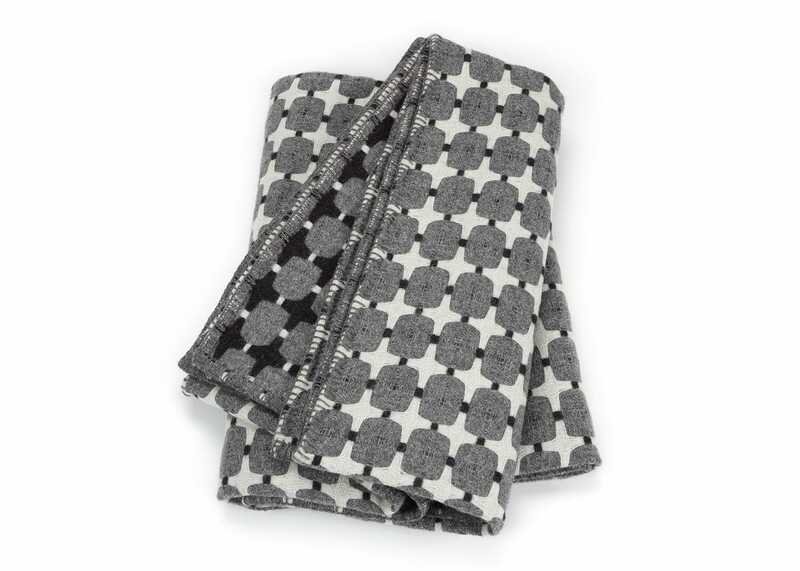 A dramatic patterned throw, the 405 Line references early television technology, drawing its name from the number of scanning lines per inch used in analogue black and white TV transmission. 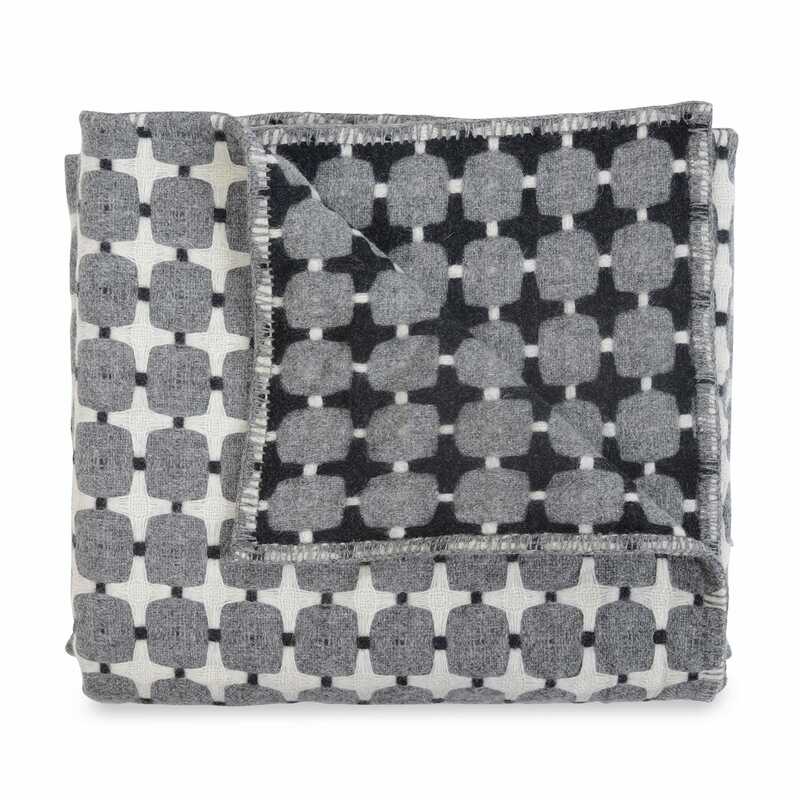 Designed by Eleanor Pritchard and beautifully woven from pure lambswool here in the UK, this reversible design has a hypnotic effect that works perfectly when set against contemporary sofas. A dramatic pattern that references early television technology. Reversible design that has a hypnotic effect. 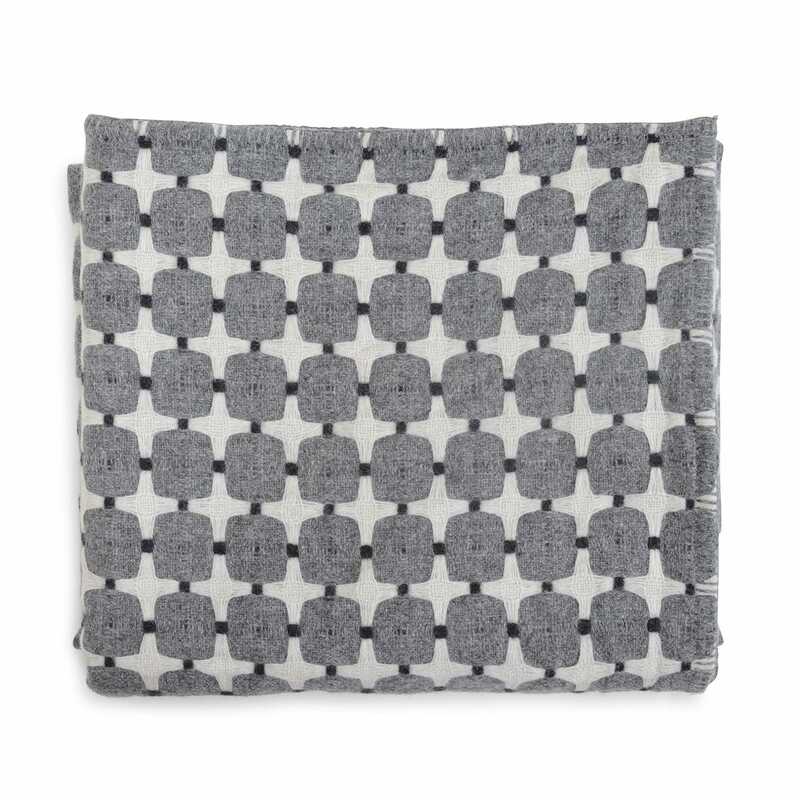 With a strong affinity for the aesthetics and philosophy of Mid-century design, Eleanor Pritchard’s textile collections and rectangular cushions reinterpret such iconic styles for a modern day audience. Using understated geometric patterns, calm greys and blues are mixed with shots of yellow and green to bring a modern twist to British heritage.